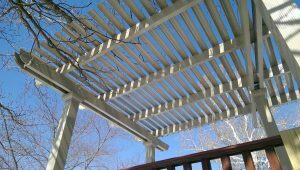 A pergola installed by SRA Home Products can be an attractive focal point for your home in Cherry Hill or Sewell, New Jersey, that offers more benefits than just beauty. Pergolas can provide shade for cooler relaxation when outdoors, transform an unremarkable entryway into a conversation piece, create an outdoor area away from the house for relaxing or entertaining, and so much more. In fact, with a pergola installed by SRA Home Products, the utilization possibilities are endless. 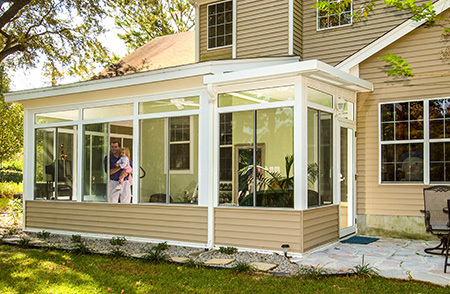 We offer homeowners throughout Cherry Hill, Sewell, and the surrounding area attached, free standing, and garden arbor pergola structures manufactured by TEMO, the leading manufacturer of outdoor living products in the United States. Design options include Roma, Venetian, and Florentine column styles with versatile white or sandstone finishes that will complement any home’s exterior. The Mediterranean style of a TEMO pergola is universally appealing and, whether you use your new pergola as a functional structure providing shade for relaxation or as a whimsical design to accent your garden, you can rest assured it will enhance your home. Additionally, your new pergola will be installed by our factory-trained and-certified technicians who offer exceptional service. You can be sure our employees will arrive on time, be courteous and respectful of your home, and leave a clean job site when the project is finished. Plus, we offer a lifetime transferable product warranty from TEMO, so you can be sure your investment is well-protected. 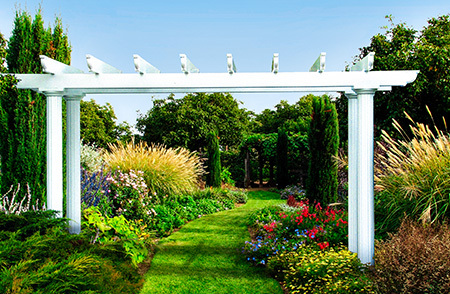 For more information about the beautiful TEMO pergola structures we offer to homeowners throughout Cherry Hill, NJ, and Sewell, NJ, as well as the surrounding area, contact SRA Home Products today. Be sure to ask the convenient financing options we have available.